Arizona. Kentucky. Indiana. It’s astounding to think that three elite college basketball programs can trace their success back to one small-town high school coach, Blackhawk High’s legendary John Miller. Coach John Miller was just following his heart’s passion and channeling his unbreakable spirit when in the early 1970s he began to use basketball as a platform for developing young players and future leaders. Little could he have known that his two sons, Sean and Archie Miller, and their cousin, John Calipari, would grow up to lead historic basketball programs to national prominence. And over his career, he also inspired countless other young players, who would grow up to become doctors, lawyers, and prominent CEOs. At his retirement in 2005, Coach Miller’s record stood at 657–280 over his thirty-five-year career, making him one of the winningest coaches in high school basketball history. Today, Coach Miller’s legacy extends from the tiny hamlet of Beaver Falls, Pennsylvania, to some of the most famous sporting venues in America. He is a legend in the sport, praised by greats such as Kobe Bryant, Thad Matta, Bucky Waters, and Jamie Dixon. Filled with original photos and behind-the-scenes stories, Miller Time is for every hardwood aficionado. David A. Burhenn was born and raised in Beaver Falls, Pennsylvania. 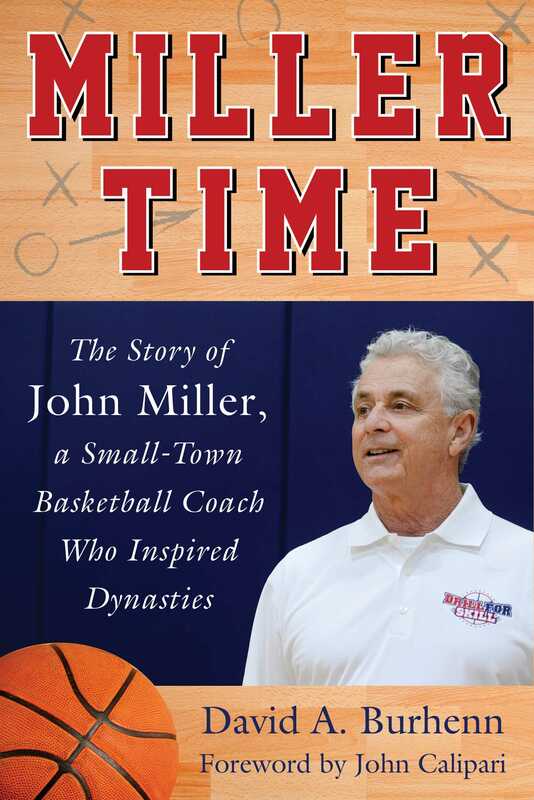 Fascinated with the overwhelming success of the Miller family in basketball and other pursuits, and especially after witnessing the positive effect that Coach John Miller had on his son and others, he decided to try to uncover the secret to the coach's success. Thus, his writing career began. Burhenn lives with his family in Aliquippa, Pennsylvania.